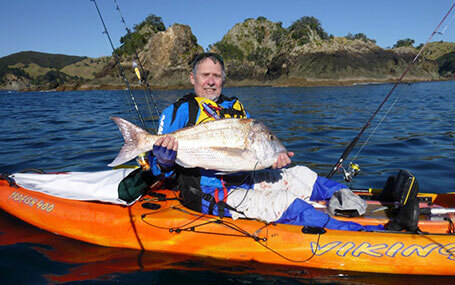 Kayak fishing has become very popular, due to its affordability, compared to boats. Because there is no noise kayaks are successful due to their stealth as they do not scare easily spooked fish. It is easy to get to the beach and on the water in a very short time. The benefits of kayaks are they are environmentally friendly, provide exercise, transportation is relatively simple and there is no need for a boat ramp – just launch from any beach and the adventure begins. Options available for delivery to your door. This fantastic combination of the ultra stable Viking Profish GT and the incredible Bixpy Jet electric motor makes for the ultimate in hands free fishing and cruising! Enjoy hours of silent kayaking at speeds of up to 8-9kph. The awesome Espri Angler lifts compact fishing kayak performance to a whole new level; it’s lighter, stronger, and ready to play amongst the big boys! Multiple rod holders let you position your fishing tackle where you need it and the upgraded free paddle and seat options make your time on the water even more comfortable. This kayak puts brilliant on-water performance into a package that’s also fantastically easy to manage off the water and onto your roof rack. 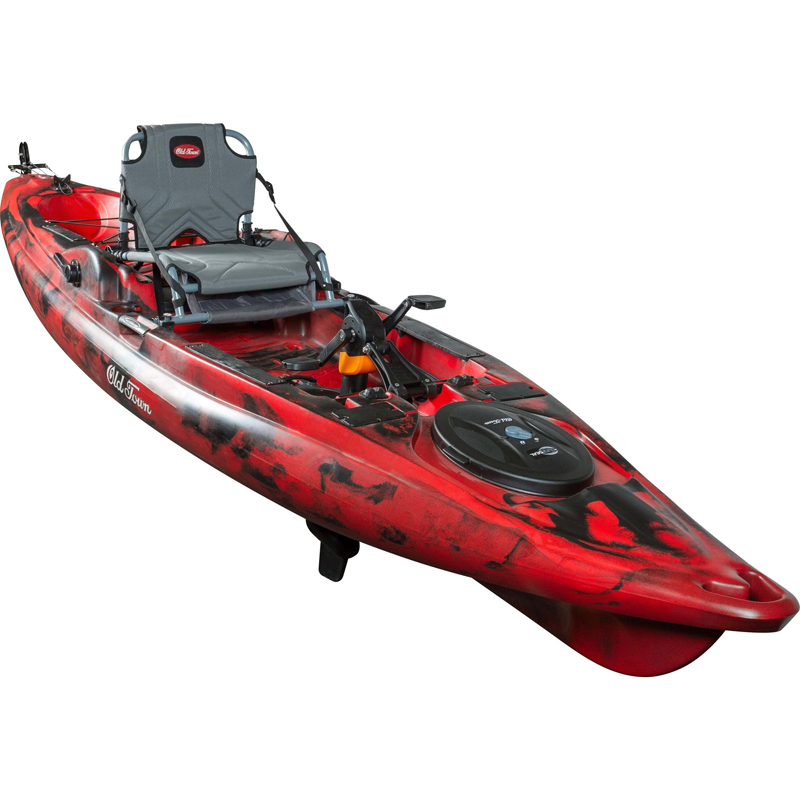 Selecting the Espri Angler is the right choice for those looking for a brilliantly easy to manage kayak that the whole family can enjoy while giving the flexibility to set up a true fishing “Pocket Battleship”. Filling the “mid-size” category the Profish 400 takes Vikings incredibly robust design and wraps it in a package weighing just 24kg (unruddered) without compromising our 30 year hull warranty*. The cockpit has been ergonomically designed for greater comfort for paddlers of all sizes while still allowing the use of a variety of seating options for a truly custom fit. The sides have been scalloped to allow greater paddling efficiency while allowing maximum stability for all paddlers from those new to the sport discovering kayaking for the first time to the expert targeting trophy fish in big water. 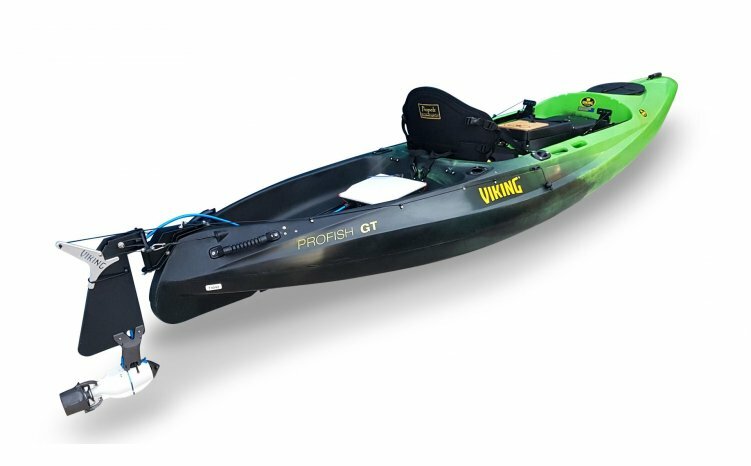 Choose the Profish 400 Lite if you’re looking for a serious paddling and fishing kayak offering the ultimate in comfort and features that’s light and easy to manage both on and off the water. 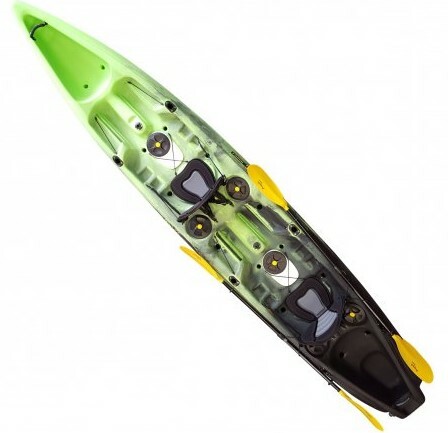 This is our TOP SELLING fishing kayak! 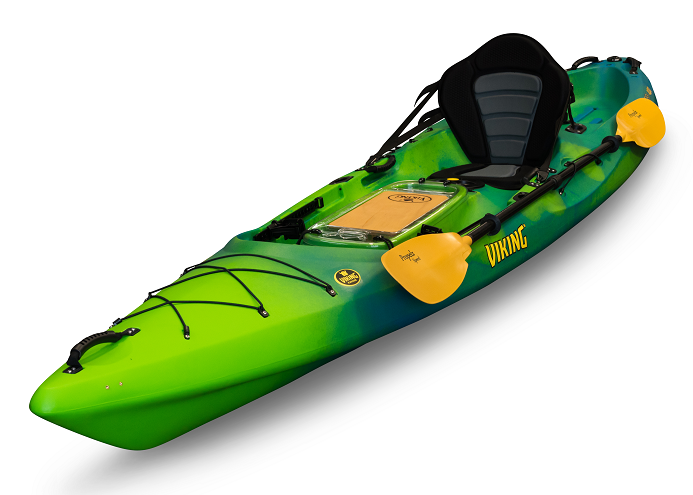 This is the latest fishing kayak from Viking, designed for anglers looking for a compact casting platform to present baits and lures. At just 3.6m long, yet with a full size cockpit and our removable Reload Tackle Pod system, the Profish GT is exceptionally easy to handle on and off the water. Plenty of bow lift, turned down edges, and a broad hull helps tame surf transitions. Whether you’re exploring small creeks or lobbing big baits around coastal headlands, the stability and load capacity will amaze you. Add the optional rudder and you have one of the most versatile fishing kayaks it’s possible to own. The upgraded Profish 440, incorporates new Viking technology. 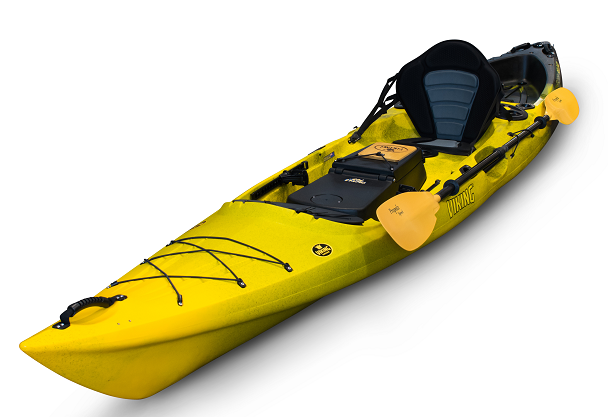 Enhanced with harder materials and lighter weight this serious fishing kayak comes with a market leading configuration as standard to suit the serious kayak angler. 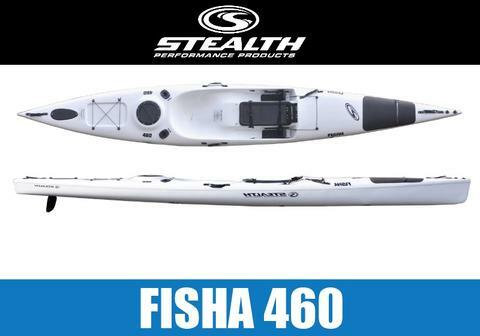 The Profish 440 Evolution IV is the only kayak on the market to offer such a comprehensive range of features and technology to accommodate practically every fishing style. Choose the Profish 440 if you’re looking for the ultimate combination of speed, stealth (no hull slap), stability, and versatility wrapped up in a package that’s lighter in weight and has the features to deliver a great fishing experience! *Fast, stable, and easy to manage on and off the water, this is the kayak of choice for anglers seeking touring endurance combined with the stability to land record class fish! *The Reload Tackle Pod™ system offers a worldwide first: a fully integrated and removable sounder, battery, and transducer setup combined with a large tackle storage space. It’s now quick and easy to remove or reload your valuable sounder, transducer, and tackle - the ultimate in convenience. *With the Tackle Pod™ removed for transporting the Profish Reload is much lighter and easier to load onto your roof rack. The Fastest fishing kayak in our fleet making trolling lures easy and exploring those far off uncharted grounds an exciting adventure. Superior stability provides you with the confidence to target big fish. Scalloped sides for improved paddle strokes. The handy bait wells behind the seat can also be used as a convenient place for drink bottles. Large recessed side handles make lifting and loading the Reload so much easier. The nicely flared bow diverts water in choppy conditions. The innovative ‘Rod Slots’ along the bow allow you to securely lay down your fishing rods - ideal when coming and going through surf. This model was designed with performance and stability in mind. Ultimately the kayak is ideal for chasing those fast moving pelagic and covering long distances but not sacrificing too much stability. A fast but still stable kayak with great gliding ability. 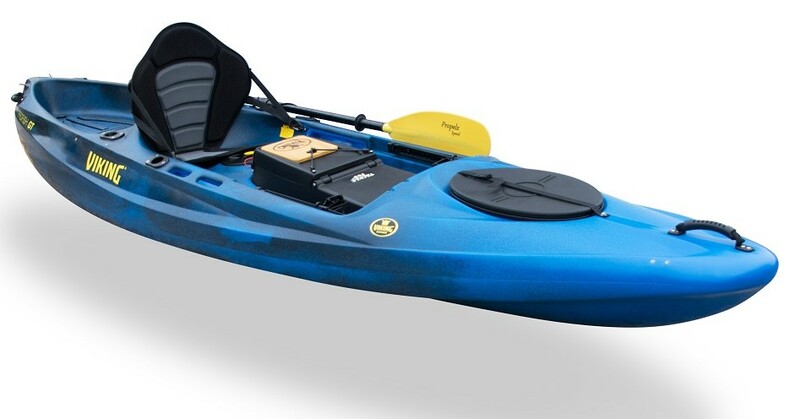 The design of this model allows the kayak to have excellent turning abilities, a more prominent rocker for better wave riding ability and being constructed with epoxy based resins and CNC technology it allows it to stay super strong and lightweight. Designed for the bigger angler the increased volume of the kayak helps cater for the extra weight. A lower seating position adds to the stability to make this the most stable of the Pro fisha range. This kayak also has a longer length footwells than the other 2 Pro fisha models for the taller anglers. - Front and rear carry handles. - 2 drain holes – one for the fish hatch and one for the kayaks hull. - Carbon fibre fish hatch lid to keep it lighter than std fibreglass as well as a little stiffer. This lid gives you easy access to a large central fish hatch. - The central fish hatch is a very large central storage area used for stowing your rods and reels when launching and beaching in rough waters and of course as well as excellent storage for those big fish you catch. The hatch has a built in rod shoot which curves upwards so that when your rods are stored they can be kept above the fish and anything else you have in the hatch. - Completely adjustable rudder and pedal system. - Self drainer holes in your footwells to allow easy release of the water that collects in and around your feet. - Side carry handles assist with the carrying, loading and unloading of your kayak. - 2 std 50 degree trawling rod holders used for placing your rods into while you paddle around and fish. The careful position and angle makes it simple to access and use while you paddle. - Large rear storage hatch which has an 8 inch lid that can be easily opened and closed for simple access. Plenty of space to store you extra tackle, lures, safety equipment and more. - Two standard rear upright rod holders. These rod holders are used for positioning those extra rods and reels. The more upright position of the rods make it easy to access them from your seated position in the kayak. - Small recess and rear webbing for extra storage of any larger items you would like to take with. - Rudder cover for easy access from this cover to your rudder and rudder system. - A Neatly designed Carbon fibre rudder gives the kayak excellent turning and maneuverability. The carbon fibre material makes it a little lighter and stronger. The focus on this kayak was to give it maximum stability within its design so the position on the widest point of the kayak and the depth of the seat and footwells were placed so as to make it very comfortable with loads of stability. The Fisha range is truly about maximum stability before speed and incorporates the latest hi tech materials. - Fibreglass fish hatch lid made from std fibreglass construction and also gives you easy access to a large central fish hatch. - The central fish hatch has a very large central storage area used for stowing your rods and reels when launching and beaching in rough waters and of course as well as excellent storage for those big fish you catch.The hatch has a built in rod shoot which curves upwards so that when your rods are stored they can be kept above the fish and anything else you have in the hatch. - Self draining holes installed in your footwells allow easy release of the water that collects in and around your feet. - Soft moulded carry handles to assist with the carrying, loading and unloading of your kayak. - 2 std 50 degree trawling rod holders used for placing your rods into while you want to paddle around and fish. - Small recess and rear webbing for extra storage of any larger items you would like to take with you. - Rudder cover gives easy access from this cover to your rudder and rudder system. 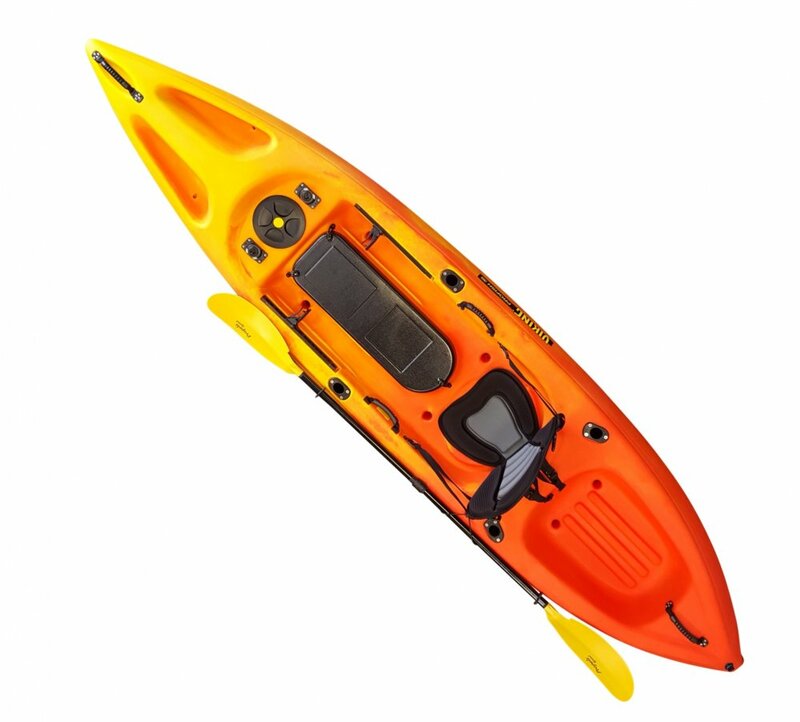 - Neat designed small fibreglass rudder gives the kayak excellent turning and maneuverability.